The International Society for Social Justice and Human Rights (ISSJHR) and the Ikwerre Youth Movement (IYM) International, have cautioned the Rivers State House of Assembly over the suspension of Azubuike Wanjoku. Chancellor of ISSJHR, Omenazu Jackson, Secretary of IYMI, Marshal Chuku and its National Publicity Secretary, Dike Bekwele, said the suspension of Wanjoku, who represents Ikwerre Constituency was malicious and aberration of the democratic process. Describing the House action as draconian and against democratic institution, they said the act does not show maturity., adding that in a democratic settings, individual opinions should be allowed. “All the House should have done was to note Wanjoku’s opinion and not suspend him. This is a display of rascality,” they said. Jackson, therefore, urged the house to allow democracy to flourish, saying a situation where the Rivers State House of Assembly returns to crisis and chaos was not good. Also, Peterside Didiah, expressed concerns that the lawmakers’ action may again, result in crisis among the lawmakers and the two major political parties in the state. The groups stated that the suspension of Wanjoku, who was elected on the platform of the All Progressives Congress (APC), infringed on the fundamental rights of the lawmaker and his constituent, urging the assembly to revert its decision. The groups, therefore, threaten to seek legal redress if the assembly does not reverse its decision within seven days. 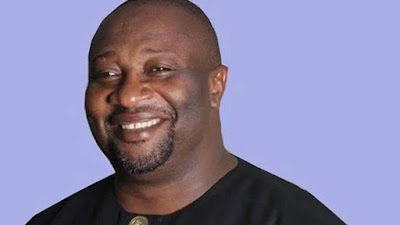 The State Assembly had yesterday suspended Wanjoku following APC lawmaker’s opposition to a petition written by the House against the commander of the special anti-kidnapping squad, Akin Fakorode. Wanjoku, had in his reaction to the resolution, which was published in a national daily, urged members of the House to exclude the names of the six APC lawmakers, saying they would seek legal redress if their names were included in the petition.